FREE PERFORMANCE on Friday at 6 p.m. at the Event Center! The Red Letter Band is a chart-topping group of artists that enjoy entertaining audiences in an up-close, personal way. They cover a variety of classic country hits and have prize giveaways for crowd participation. In 2014, their debut single, “Bring Me” climbed to #2 on the Inspirational Country Music (ICM) charts out of Nashville. The Band’s second release “All Abandoned” quickly followed suit also reaching a #2 spot on the January 2015 charts. Later in 2015, “Love Will Stay” hit the top 10 earning The Red Letter Band a nomination for 2015 ICM Band of the Year. In May 2016, RLB’s song “Going Home” reached #1 on the ICM charts (their 4th top ten single). They’ve been nominated once again for 2016 Band of the Year and 2016 New Artist of the Year. Power Source Magazine has given rave reviews to The Red Letter Band and believes they are one of the top up and coming artists in the nation. 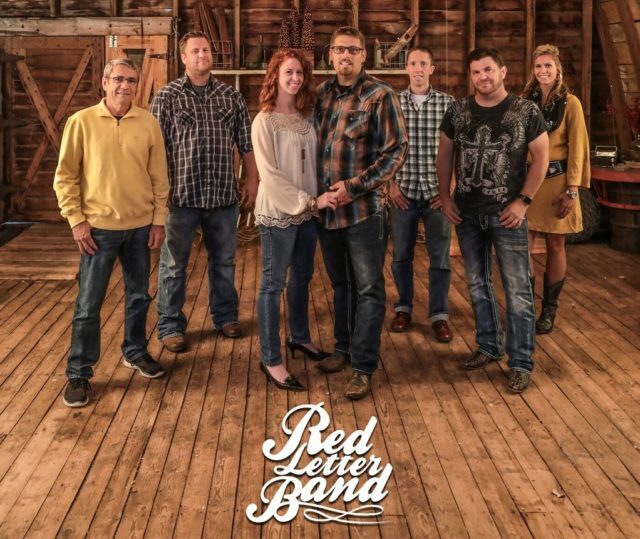 The full-scale, family friendly, professional sound of The Red Letter Band delivers hours of high-quality, classic country along with a first hand opportunity to hear original music from this nationally acclaimed Minnesota group.